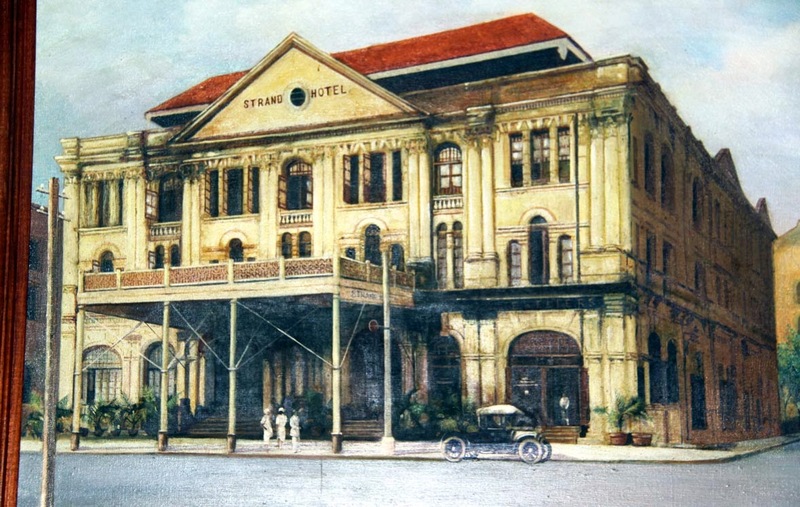 THEY may have changed the country's name from Burma to Myanmar and its capital from Rangoon to Yangon, but the ambience of the British Empire lives on in the bar at the grand old Strand Hotel. Relaxing in wicker chairs, moustachioed gentlemen sip their Johnny Walker Black Label as their partners fiddle with glasses of Pimm's No 1… the original quinine digestive alleged to ward off the dastardly malaria. 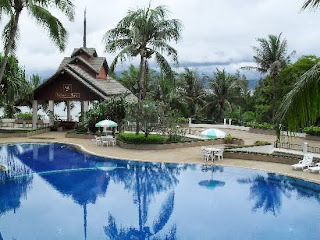 The hotel's walls are made of teak and, high in the ceilings above the chairs and tables, fans whirl quietly. In days past their place was taken by large, waving carpet-like contraptions operated by punkawallahs to stir the languid, heat and humidity-filled air. Occasionally an English expatriate with a cane and a pith helmet still wanders into the bar. And, more recently, so too tourists – just as they do to Raffles in Singapore, the Savoy in London or the Kempinski in Berlin – to gawk at a relic of yesteryear. Like Rip Van Winkle, Myanmar has awoken from a deep sleep. First it was the military junta that scared away the tourists. Then it was Aung San Suu Kyi, the iconic pro-democracy advocate and Nobel Laureate who asked foreigners not to come – because the tourist dollars would only help prop-up the military, and not filter down to the poorest in most need. However a couple of years ago the people asked Aung San Suu Kyi to reconsider her stand. It was counter-productive, they pointed out, and was hampering the very people she wanted to help. She accepted their pleas and the country will this year embrace some 1.5 million tourists … more than twice the number of a few years ago. 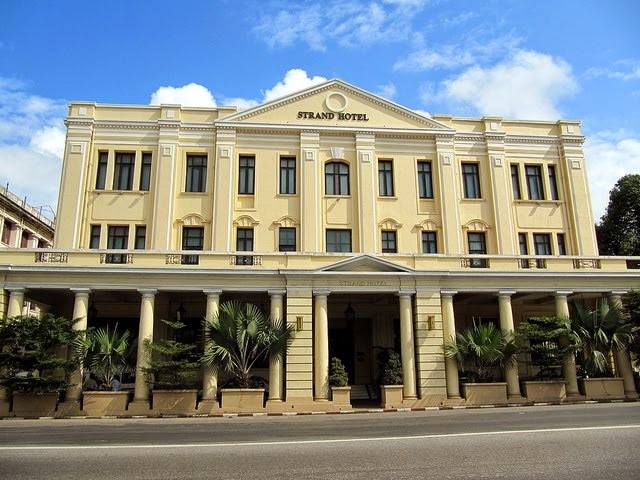 And a good majority will visit the Strand Hotel, that was built by Arshak, Tigran and Aviet Sarkies, Armenian brothers born in Persia (now Iran) who were responsible for a string of luxury hotels across South-East Asia. 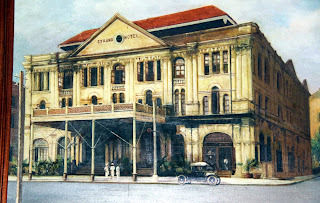 These included Raffles Singapore, while construction of Rangoon's Strand commenced in 1896 and finished five years later. 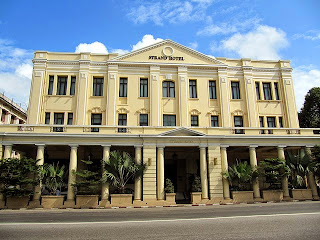 And from its opening there was one explicit rule: only white guests were permitted to stay there, although many years later the hotel also became home to Japanese officers during the occupation of Burma in World War II. But while the Strand is a must-see in Yangon, it literally pales into insignificance against the Shwedagon (or Golden) Pagoda, a 100-m high gilded and jewel-encrusted structure that looks a bit like a giant inverted spinning top and towers over the city skyline. Its crown is tipped with 5,448 diamonds and 2,317 rubies and at the very top is a giant 76 carat (15g) diamond. Modern day guests to Myanmar and the Strand have included US President Barack Obama, who visited there last November. And a couple of large cruise ships have stopped off on round-the-world voyages – testing the waters so to speak – while other lines are looking to Myanmar as a regular stopover for ships cruising out of Singapore. 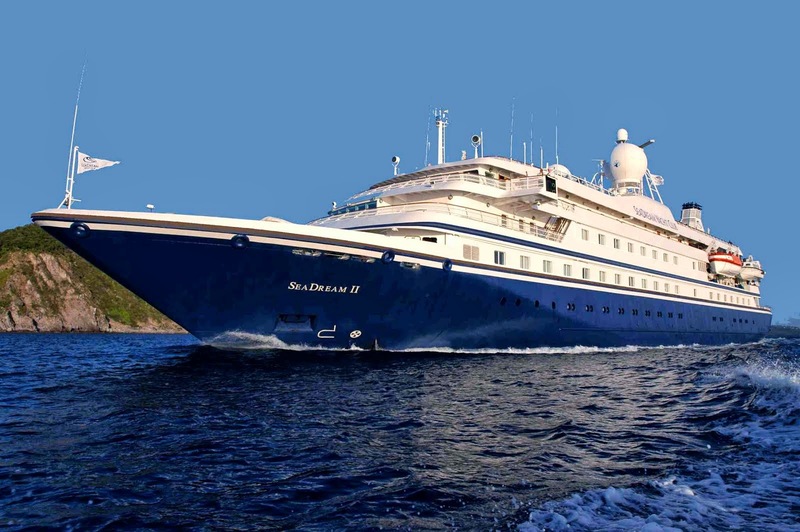 Among these will be the boutique vessel SeaDream II with two 13-day voyages in November and December this year. And as well as overnight stays in Yangon, SeaDream II will also include two of the 800 tiny islands that dot the Andaman Sea west of Thailand. One is the uninhabited Pila Kyun. 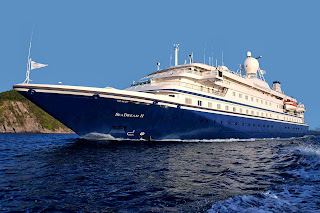 And no doubt SeaDream Yacht Club will be considering it for their signature Champagne and Caviar Splash, where guests visiting such placid waters are served drinks by waiters who stand in these waters knee-deep just off the beach, surfboard-like floating tables serving as their bar . The other is Thahtay Kyun, a short ocean trip from southern Thailand and home to a five-star casino and golf resort. 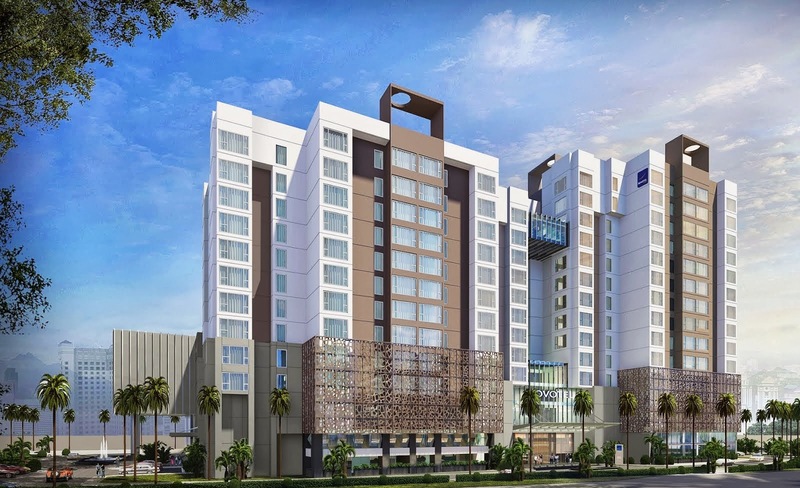 Also with an eye to attracting Aussies is the Accor Hotels chain, with three establishments under construction in Myanmar. 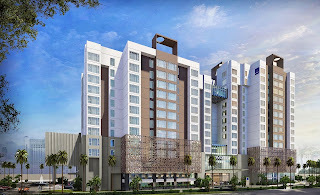 The first will open by the end of the year – the 366-room Novotel Yangon Max. 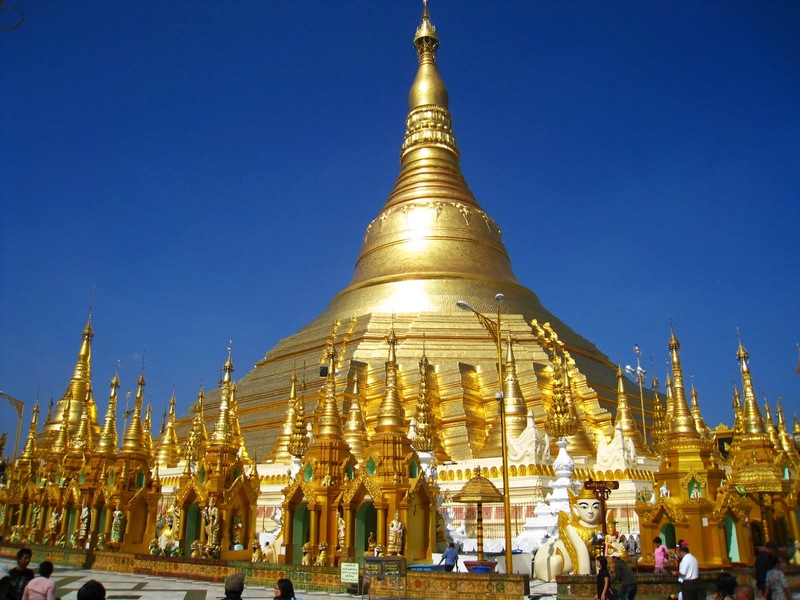 It will feature a roof-top French restaurant and will be within walking distance of the Shwedagon Pagoda. More than a century ago English author Rudyard Kipling noted: "This is Burma and it is quite unlike any land you know about." Burma? Myanmar? Call it what you will, Kipling's comments still hold true today. Art of the Brick in New York. LEGO exhibition.